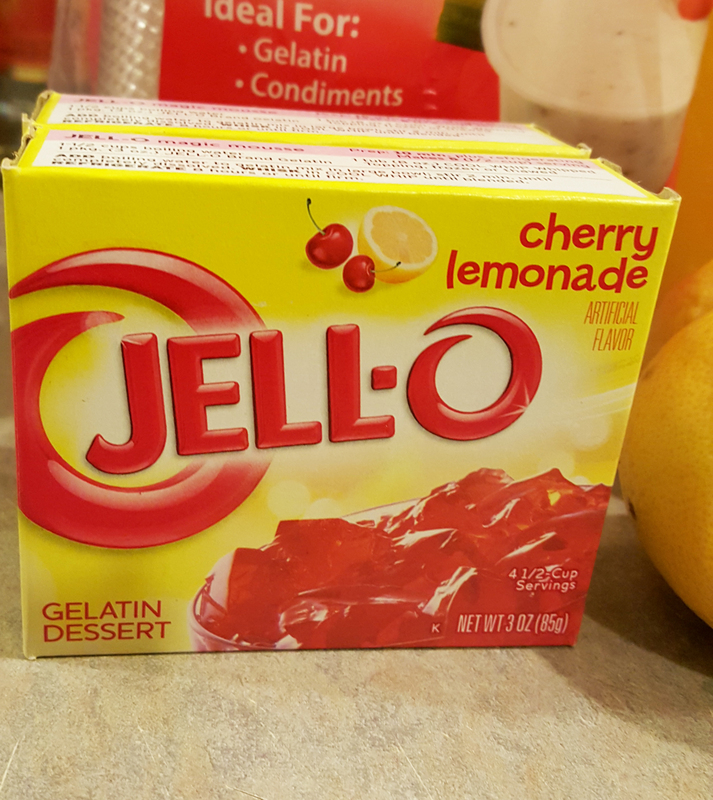 Okay, I’m making kind of a big promise by calling these the best jello shots ever but they have been taste tested by several different people and got the approval rating by all. To be fair if you do not like lemons or the taste of lemonade this might not be the thing for you…but if you do you’ll LOVE it!! 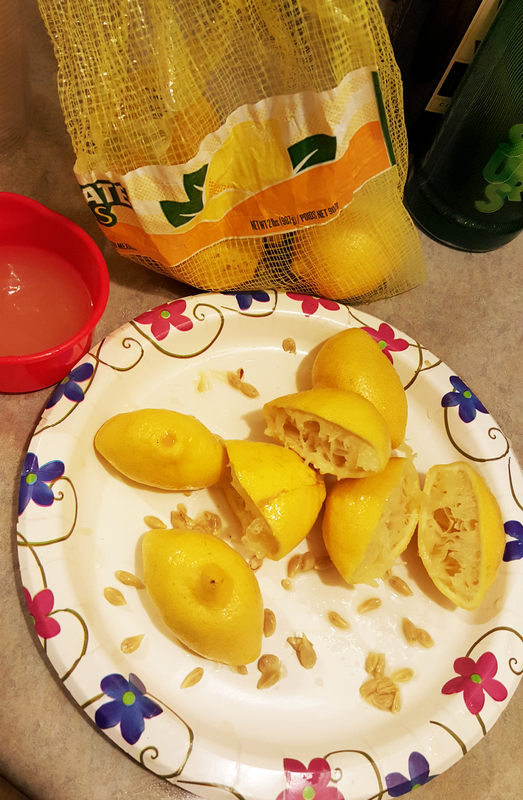 I hand squeezed the lemons which means that this is: 1. Made with love and 2. has that lemony bite to it which actually takes away any vodka taste and is what makes this sucker work!! I’ve been known as the person to bring jello shots to a party lately and had to share one of my favorites! 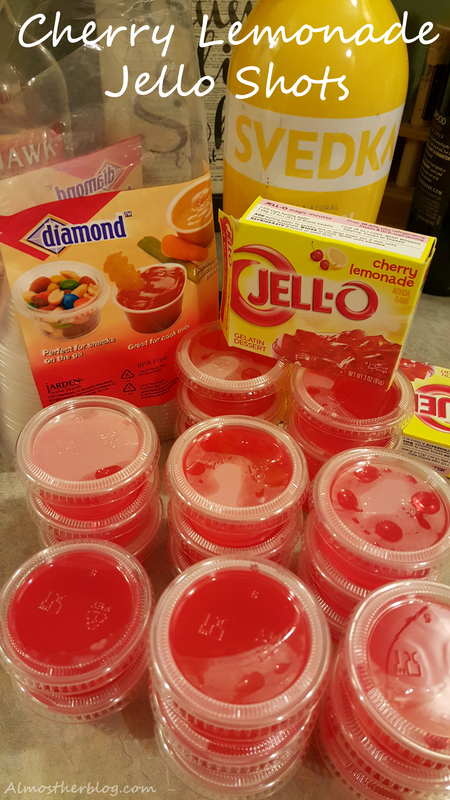 Jello shots are SUPER simple to make and will add fun to any party!! I made these in particular when I went to St. Louis a few months ago (see We Built This City for the reason why) and they turned out to be the bomb diggity. 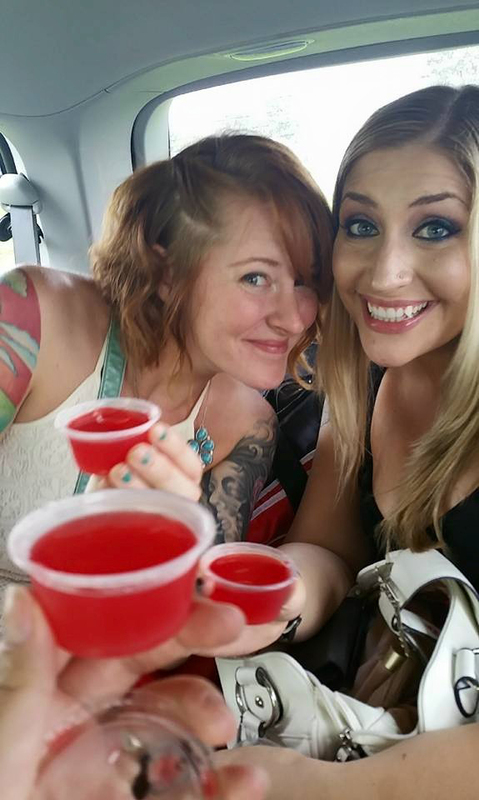 The girls taking the Cherry Lemonade Jello shots! Bring 2 cups of water in a microwave safe bowl to a boil. 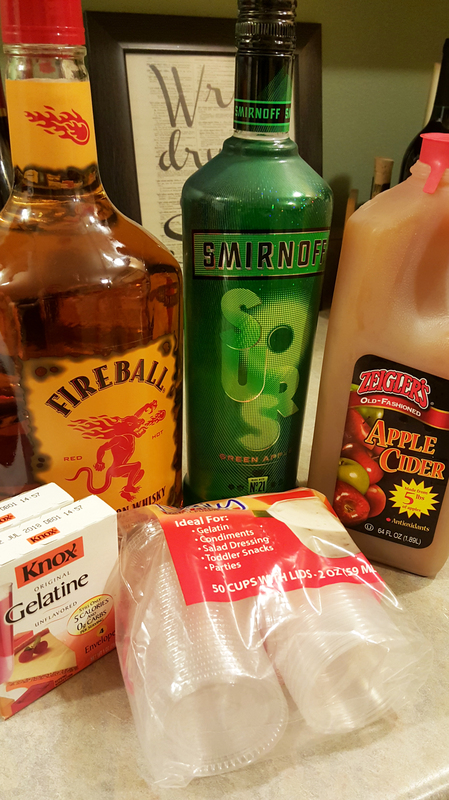 Once water boils add in your Cherry Lemonade Jello packets and stir until it is dissolved. 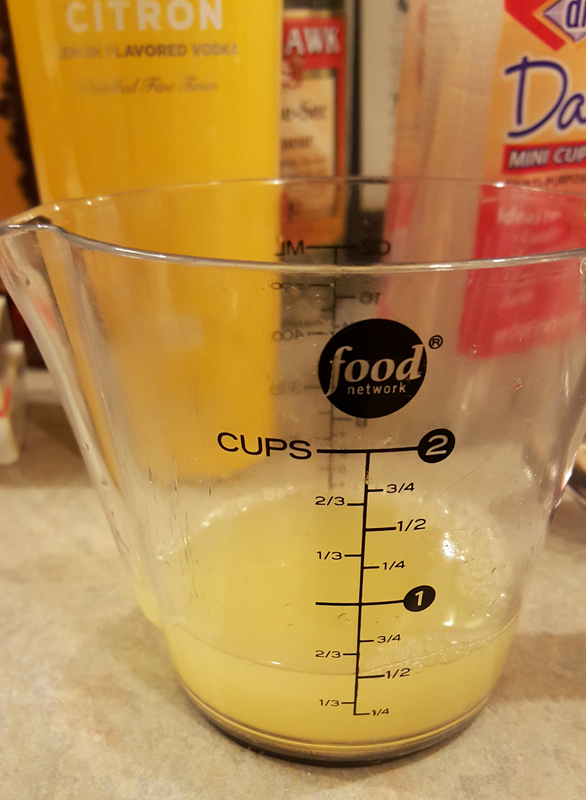 Add the 1/2 cup freshly squeezed lemon juice to the 1/2 cup of cold water and stir into mixture. Add your 1 cup of vodka and stir. Boom!! 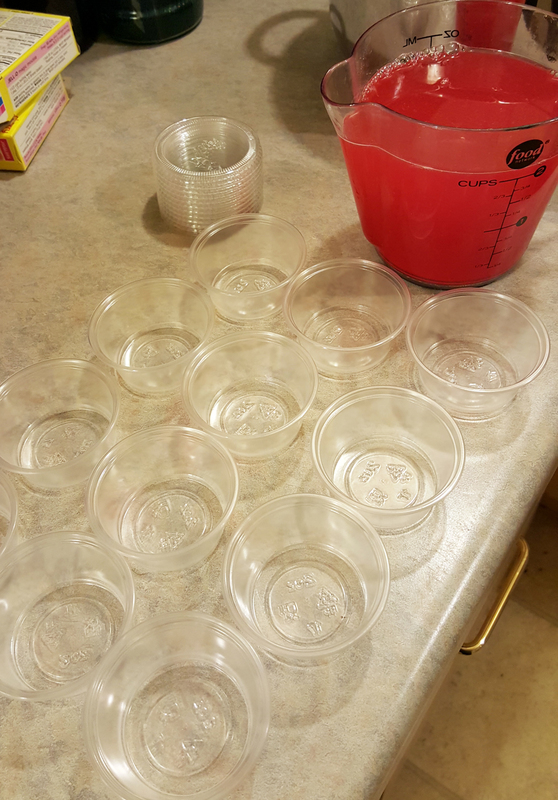 Finish off by pouring into small cups, I used 2oz. plastic mini cups with lids to make travel easier. Refrigerate at least 2-4 hours. I like to make them the day before so they are all ready to go!! 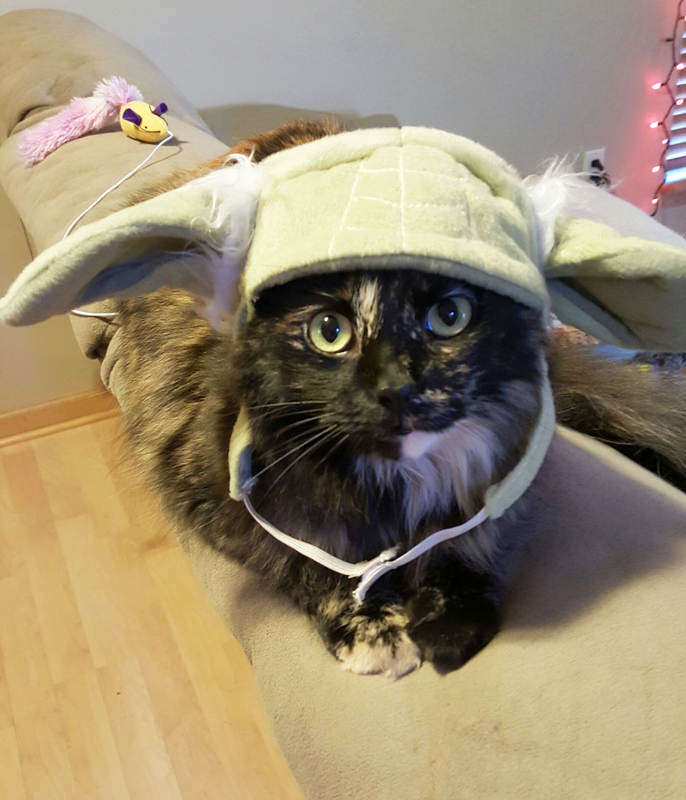 Also have to share my most recent Halloween pictures as I do really enjoy this time of year….Shout out to my sweet kitty Sassy pants for being a good sport and letting us dress her up to get more into the spirit of things. She’s such a good cat. Isn’t she the cutest?! And as promised in my Spider Web Halloween Makeup Tutorial here are some pictures of the pumpkins that we carved when my family came over. 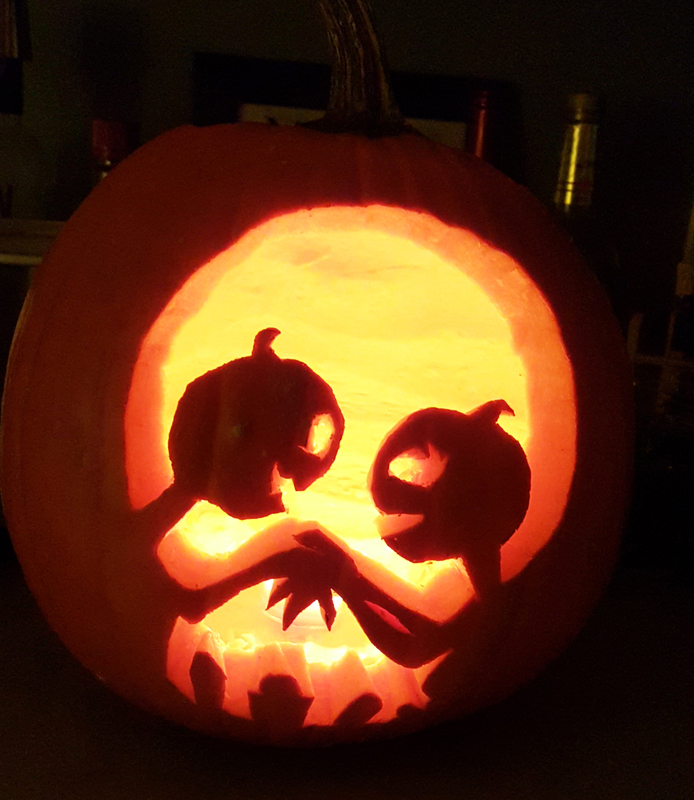 I was actually a little proud of mine this year even though I cheated and used a template. 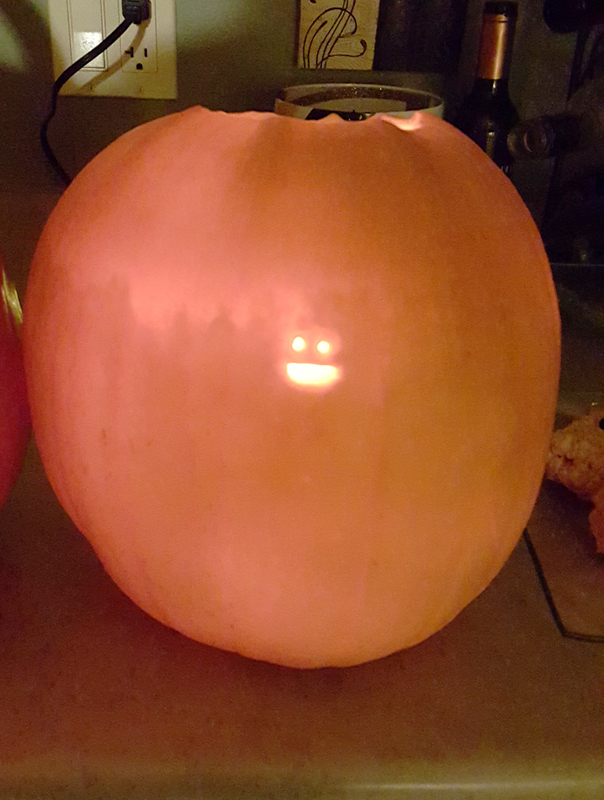 My brother’s pumpkin cracked me up….you almost can’t see it but it’s a verrrrryyyy tiny face hahaha The candle had a hard time staying lit if you closed the top. Hey Corrie!! I found mine at my local Meijer store! 🙂 If for some reason you don’t have one near you I also found some on Amazon sold as like a 4 or 6 pack depending 🙂 I hope that helps!! Making these next weekend! Thanks!